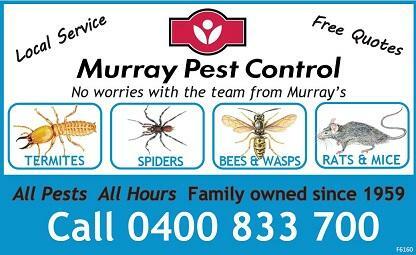 Murray Pest Control has provided pest control to suburban Adelaide and country SA since 1959. Named for the River Murray, we’re a local, family owned, Quality Assured Adelaide pest company. The business services the Fleurieu Peninsula from two branches located at Victor Harbor and Mount Barker.